I can't imagine life before BB Creams, is what I can think of now. Just the other day, I'd been telling a new colleague how she always has the dewiest skin and she replies that she only uses BB cream to smoothen her face in the morning. "That's it," she quips. Now, I normally fawn over which brand it is, after all, there IS just a lot of brands out there. It's always a matter of finding which one is for you. 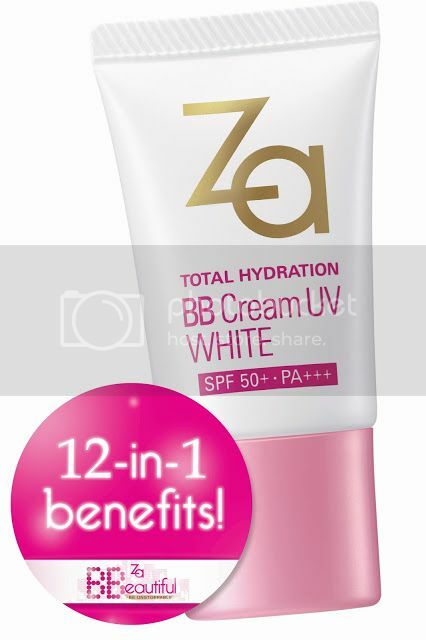 This is why today, I'm giving away five sets of ZA BB Creams to five lucky girls. Each set contains 4 full-sized ZA products, worth PHP 1,710 and you get to try each! 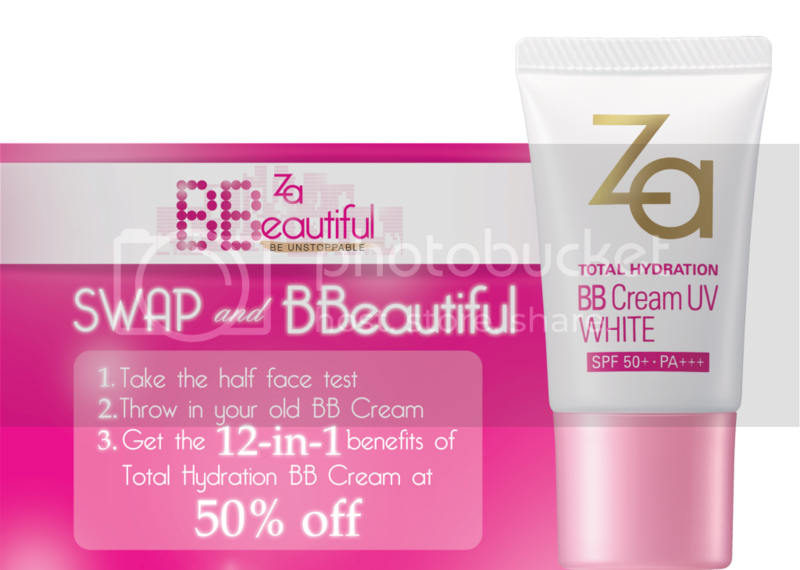 If any chance you walk into a Watson's or SM Beauty section bringing your BB cream, you can always swap it instead for 50% off! Contest is open to all Metro Manila residents and void where prohibited. I will be picking the winners on October 22, make sure you respond to my email then, if I've picked you as a winner.